For most woodworkers, especially those with the convenience and expedience of power tools, a step stool is a weekend project, if not a half-day project. For me, it’s looking like it will be a 2- or 3-weekend project, if I’m lucky. But I am really enjoying the process and continue to learn every time I approach the piece. You can see the little arc on the bottom that I will cut out next. Then to repeat all that on the other side, and finally to do the wedged mortise and tenon for the center support. Good job man! I’m sure that this will become a very used and appreciated piece of furniture. Nice work! I really like that you are making this out of salvaged wood your buddy found! I can totally relate to the time issue – I always underestimate how long things will take. But it looks like you already know the secret – it’s more about process than product. Regarding the curves in the leg – I find ripping with a coping saw very frustrating, and would probably set the spokeshave coarse and just go with that (better yet, a drawknife held bevel down). It does waste the wood, but it can be very fast – a curve like that in about 30 seconds (w/ the drawknife). 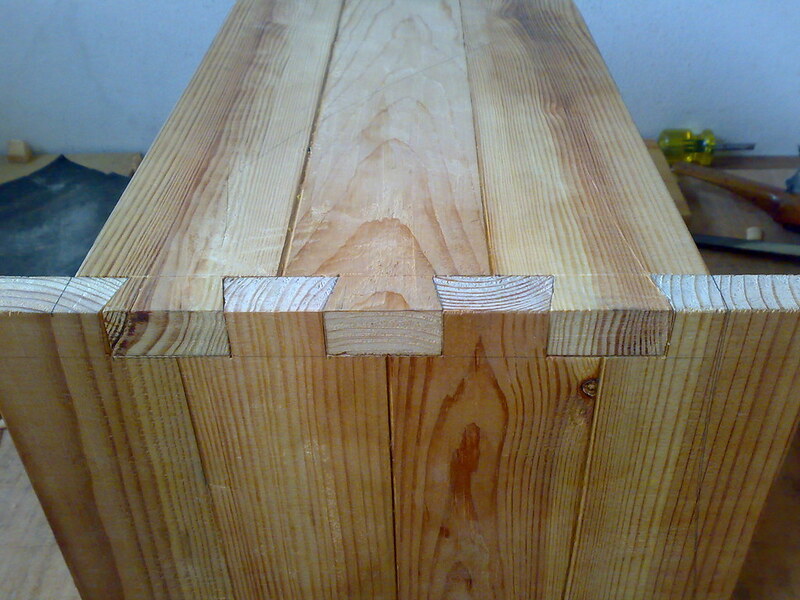 Those are very nice looking dovetails. 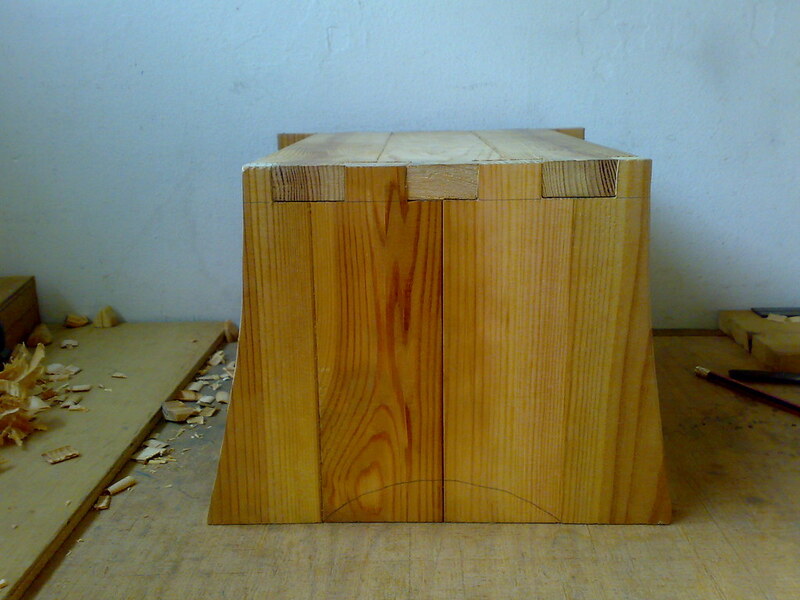 Maybe one day I’ll be able to make dovetails that well. Another way to tackle the curves is to take a regular handsaw and cut kerfs almost down to the line, then come back with a chisel and chip away big chunks of the waste. The kerf cuts act as stops to ensure that the grain doesn’t grab the chisel and make it stray. Make sure to cut with /down the grain or the chisel will catch the wood and rip a chunk out. then you can refine the curve with chisels, then rasps, then files. This method is quicker, but also more interesting than sawing for a hour with a coping saw. Practice on scrap first, just to get a feel for it. Good looking work so far though!